We are living in such a demanding and competitive world, that it is always remarkable when you meet someone who goes against the current to pursuing a career in the arts, and actually succeeds. Meet Jay Freestyle, born and raised in South Africa and growing up in a conservative Chinese family during hard times in his home country. As a result of the absence of a solid creative scene in Johannesburg, he immigrated 10 years ago to live and work in Amsterdam. 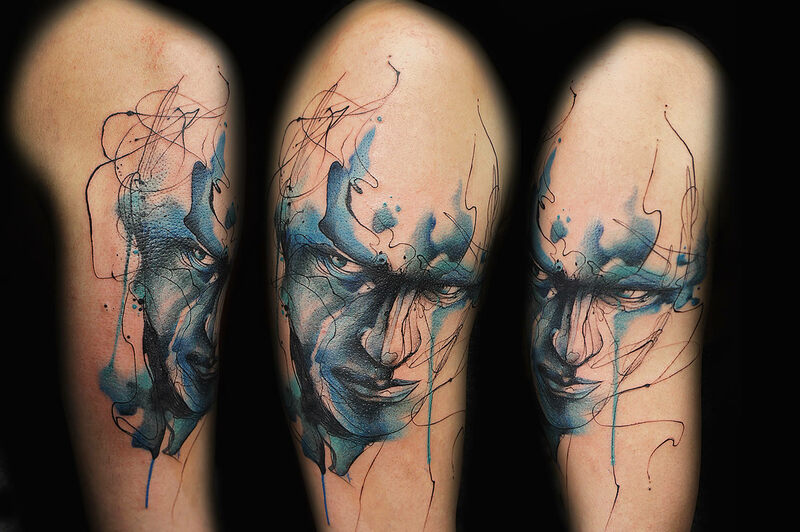 Today, he is known as the watercolor tattoo artist who can basically freehand almost any design on his clients. Traveling the world for conventions and guest spots, he explains what he has learnt in these places and what the secret of success is, in this exclusive interview. 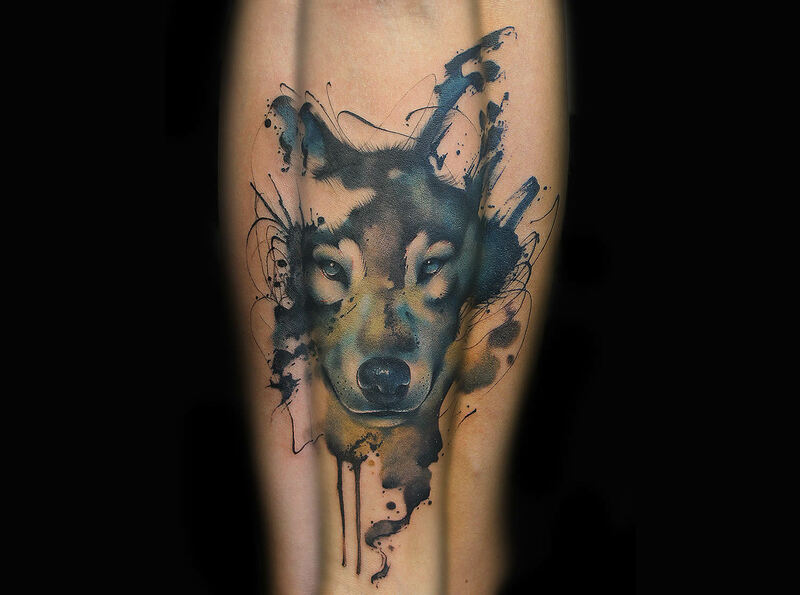 Freestyle’s painterly tattoo of a young wolf. You grew up in a conservative family. What was your family’s reaction like when you became a piercer and then a tattoo artist? They never really supported either choice, they never thought I would succeed as a tattoo artist because to them it was not a “proper” profession. In general any kind of body modification was taboo, they always saw it as something only weird people do. The first few years of my tattooing career it was a long uphill battle, we’d fight constantly about them wanting me to remain in the family business, but I wanted my freedom to pursue my own path in the tattoo world. You did not seek to become a tattooer. What led you to this profession? I started off as a piercer and my mentor was the one to actually push me to learn tattooing. It was never something I considered, it actually took a bit of convincing to get me started. I practiced on pig skin for couple of months, and once I felt confident, moved onto friends and co-workers. Combining line and dot work for this abstract art piece. You were already creating traditional paintings in watercolor and some in oil. 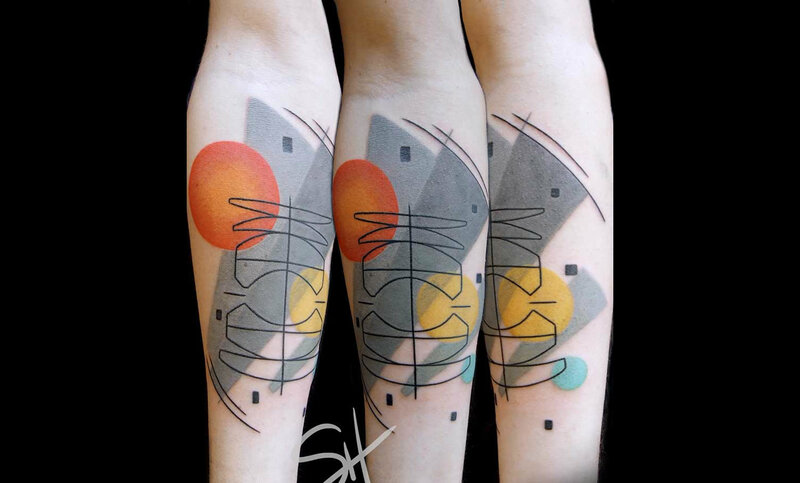 How hard was it to transition from a painter to a tattooer? Actually, I only started doing watercolour paintings since I developed my style, because it’s largely based off of looking like a painting, it was only the most obvious decision to actually start painting to learn new techniques that I could combine with tattooing. Before I started tattooing I was mainly into just drawing. The technical transition wasn’t that difficult for me, it was more the design aspect that took a while to get used to, designing something that will fit the body is very different to designing something on a piece of paper. Your name says it all: Freestyle. 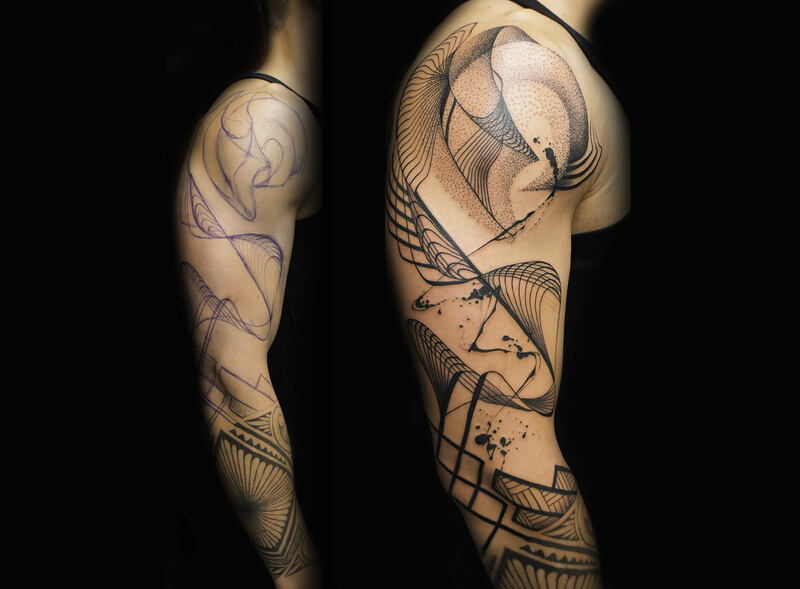 Do you freehand all of your designs on clients? About 90% of my work is all done freehand. There are of course times that I use a stencil because some things just cannot be done by hand. 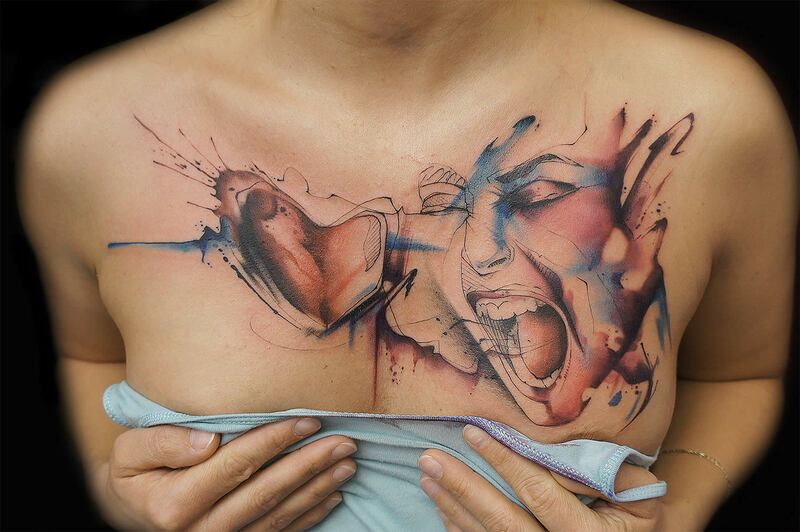 The artist is well-known for drawing directly on his clients. 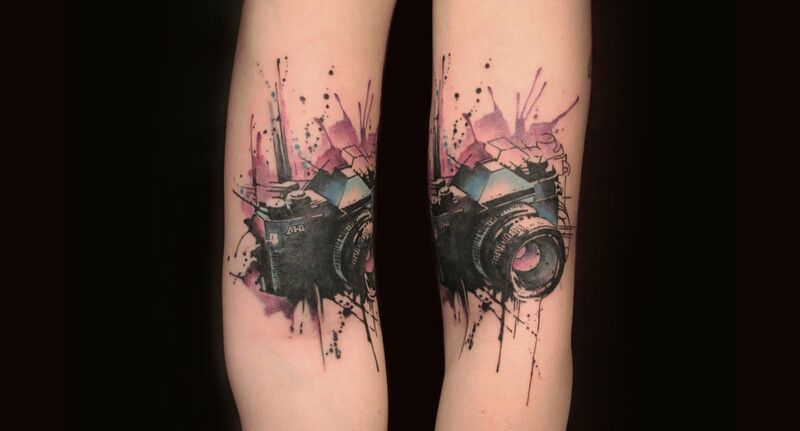 Most people think of you as the watercolor tattooer. What other techniques/styles do you use? Anything that inspires me at the time, I guess. 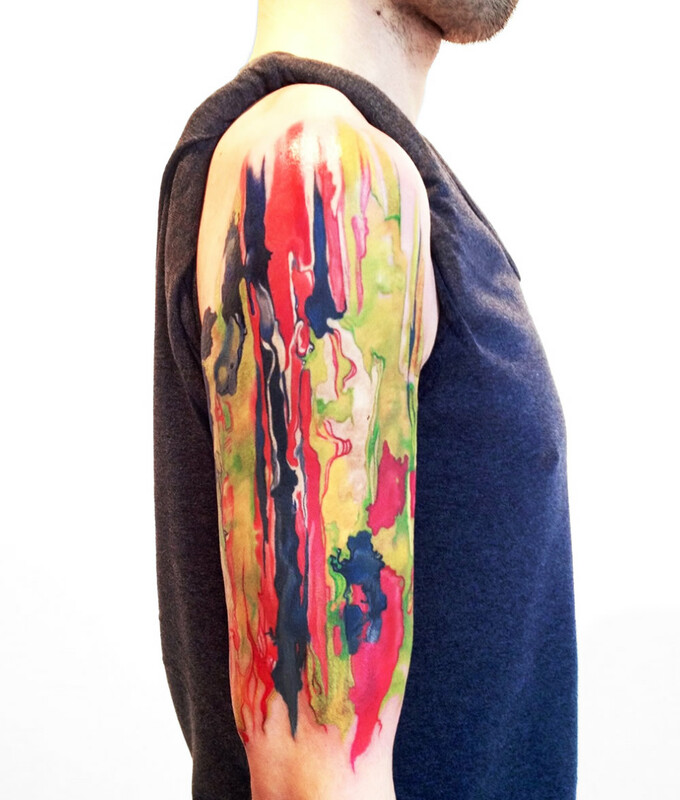 I’m actually a better black and grey tattooer than colour, but I’m kind of stuck in doing colour tattoos. I love using dotwork, geometrics, having a mix of realism with abstraction. I know that you like to do big tattoos. How many hours may it take to complete one, and which clients (nationalities) are more open to them? 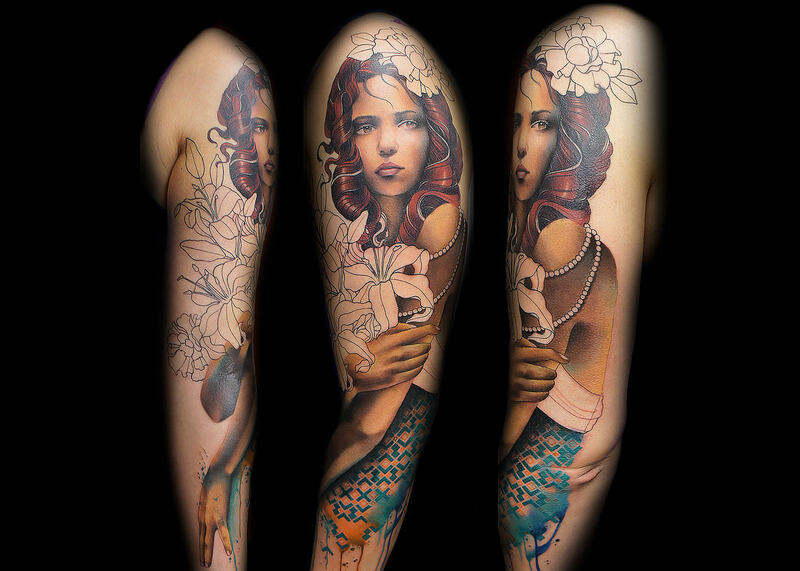 It all depends on the design and subject matter, I mean there’ve been times that I’ve done back pieces and sleeves in one day. 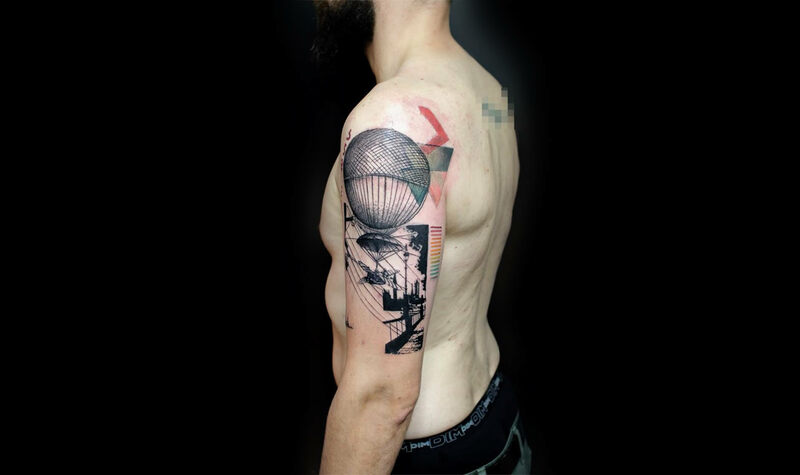 The more realistic stuff that I do take the most time to complete, a sleeve can take around 15+ hours to complete, where as the more abstract stuff is faster to complete 8+ hours. So far Americans and Germans are my 2 favourite nationalities, as they are the most open to large-scale work. 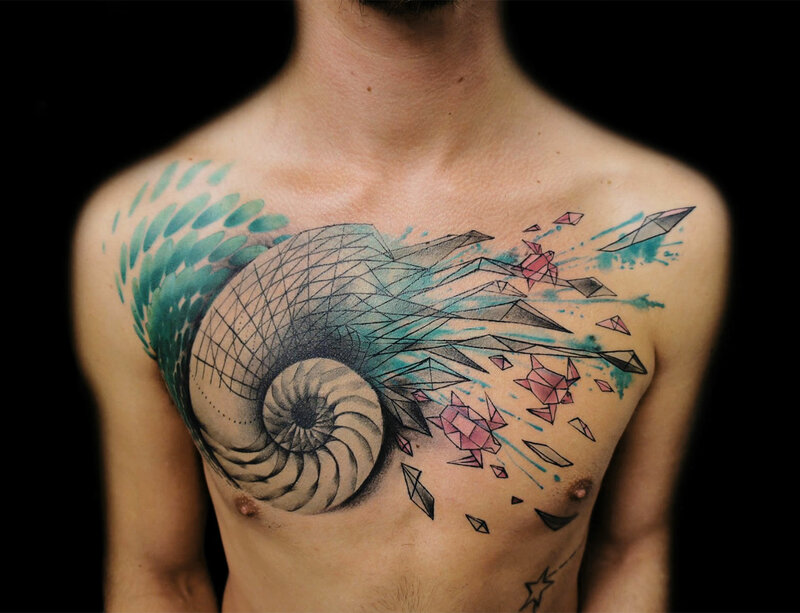 What’s your favourite area on the body to ink? 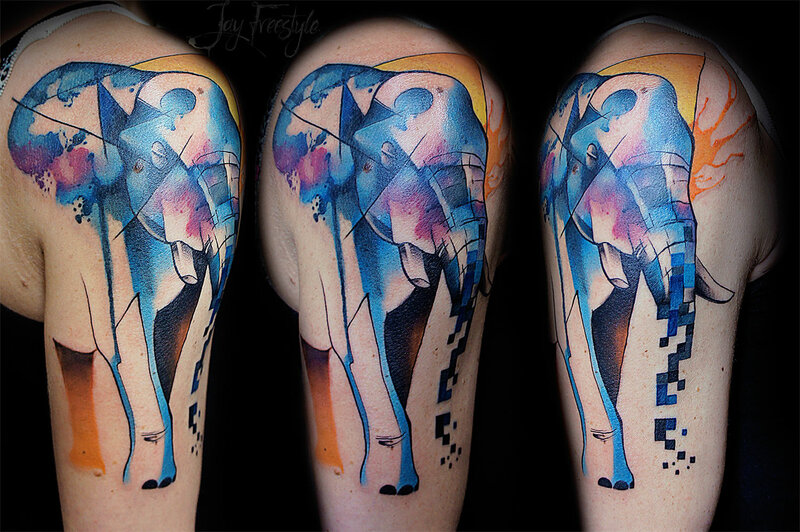 A work in progress and a beautiful abstract tattoo on side of body. 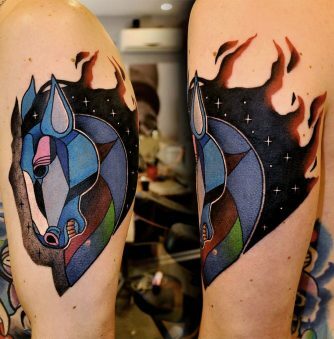 What types of tattoos will you not do? If I feel that the tattoo won’t look good then I won’t do it. I’m quite selective when taking on a project. I want to take my art to the next level and create pieces that stand out and are memorable, so I try look for like-minded collectors that are looking to get a serious piece of art, not just trying to go along with the trend. 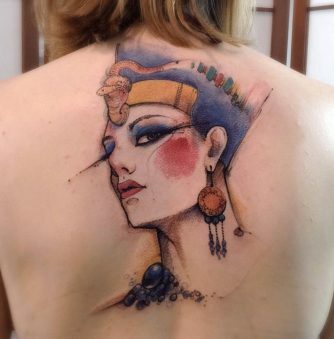 It has more to do with the person than the type of tattoo. There are many artists living in Amsterdam, that’s also where you reside. What is it like living there, and how inviting is the art scene? In my opinion, I don’t think the art scene is very big here. It’s not as developed as one might think, even though a lot of the great art masters are from Holland. In my experience, Dutch people/artists aren’t very inviting. It’s a bit hard for me to give a non-biased opinion, since I don’t really like Amsterdam. 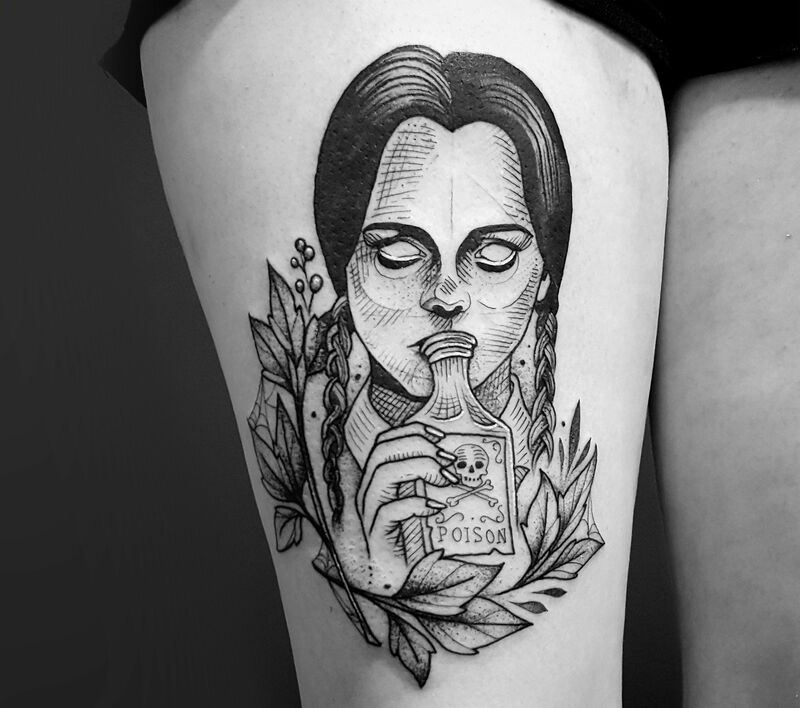 It’s just very convenient place for me right now while I’m trying to build up my career, because it’s a location that many people want to visit, so it’s easy to get collectors to travel to me for a tattoo. Heart and soul is really the essence of Jay Freestyle’s work. 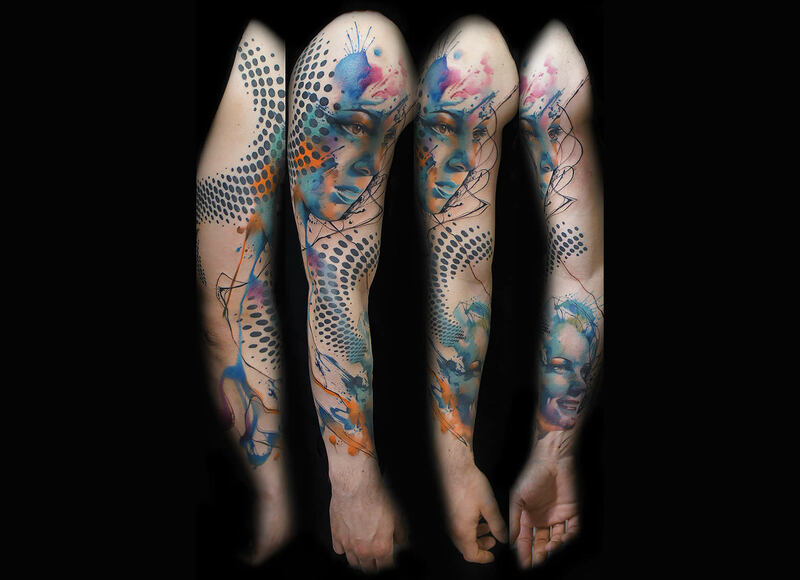 You’ve worked in tattoo studios in New York City, Philadelphia, Berlin and other cities. What have your learnt from your travels? Every country has something different and unique to offer. Every experience is a learning experience, whether it’s good or bad. I’ve learnt to have no regrets in life and take every opportunity that comes one’s way. The world is actually quite small, it’s not that big. The other side is merely a plane ride away. I’ve found that being in the tattoo industry, it doesn’t matter where in the world I go, I’ll meet people just like me. 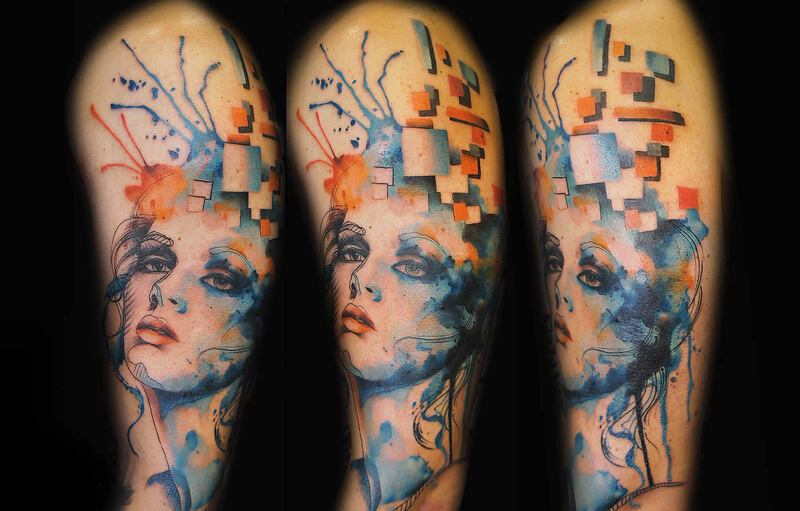 Geometric shapes, watercolor fills and subtle portraits make a gorgeous tattoo sleeve. Have you considered moving and working permanently in the US? I have, but now that I’ve seen more of the world, Australia is looking like a better option, haha. 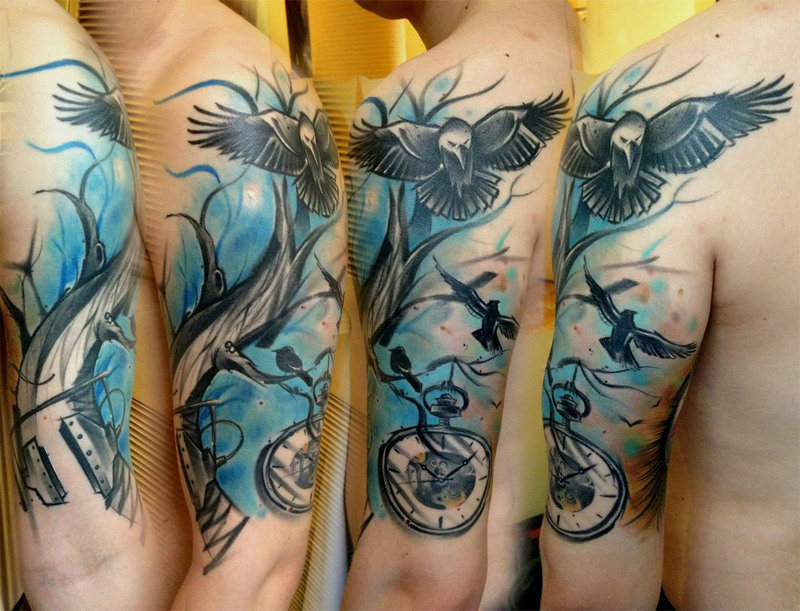 What’s one of the secrets to becoming a successful artist in the tattoo industry? I don’t consider myself to be that successful but the secret to success in any industry is hard work; I think anyone who is successful will agree to that statement. You can have all the talent in the world, but if you’re not willing to work for it, then you’ll never get anywhere. Follow the artist on Facebook or Instagram. Photos © Michael Seeberger/360 Media Solutions.